The Worthington Wife is a historical novel set in the 1920's. It tells the story of Julia Hazelton. Her fiance died tragically during World War I, and she wants to honor his legacy by saving and modernizing his family's estate. 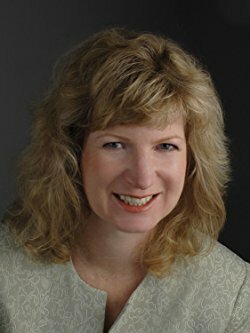 When Julia meets Cal Carstairs, an American artist who has inherited the estate, sparks fly. She is taken aback to learn he wants to destroy the estate because of some old family resentment. The novel explores their relationship, the estate, and the families (both upstairs and downstairs) that live there. I was a big Downton Abbey fan and even blogged about the show regularly here. This novel is a fun treat for Downton Abbey fans. The book captures the 1920's well. I really liked Julia as a protagonist. She is intelligent and kind, and wants to make a difference in people's lives. She wants to be more than just a lady of the manor. I also liked Cal, who enters a new world and finds many surprises. I loved the way their relationship develops in the book. Although this is primarily a historical romance, there is also a mystery involving some missing girls from the village, and it was compelling. It made me read a little quicker to find out what happened next. 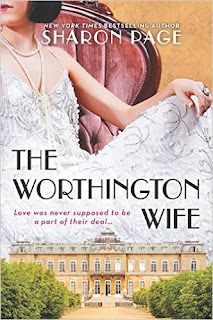 The Worthington Wife was a fun, light historical romance with an element of mystery. I enjoyed it! $25 Gift Card (ends 2/24).